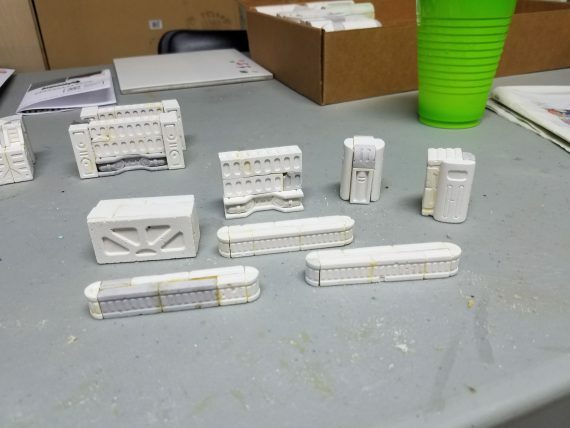 Tim worked on assembling some blocks created from Hirst Arts molds. Once completed, he will be able to use these to build all sorts of cool sci-fi areas. 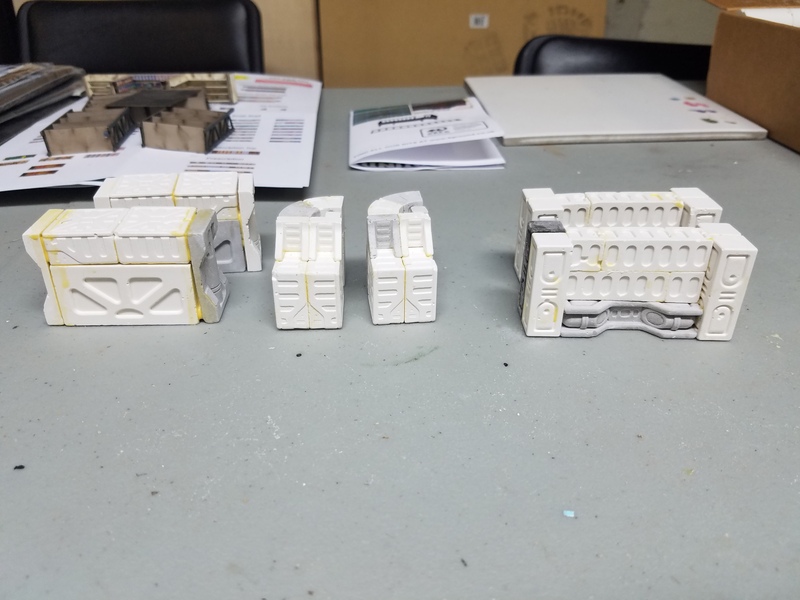 I had started one of my Gen Con purchases earlier in the week. 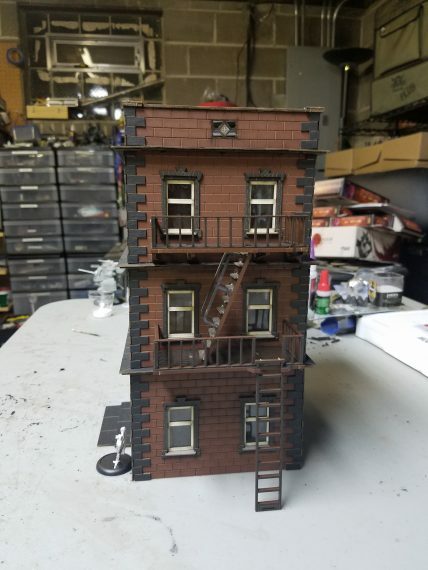 This is the North Point Tenement 2 kit from 4Ground. It has a very detailed exterior, and removable floors, but the interiors are not detailed. I added the 4Ground fire escape kits to the side of the building. 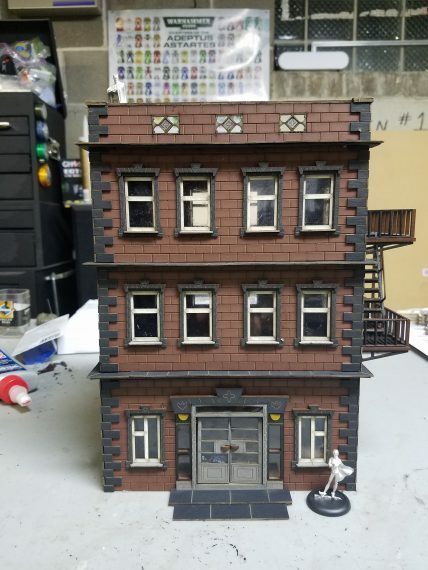 This used a 1st floor kit, and an additional floors kit. The ladder can be placed in the upper or lower position. Additionally, the stairs can be moved out of the way for gameplay reasons. We will continue to hold these hobby nights to show off our in progress projects! Cool stuff fellas! Those sci-fi blocks look great and could have all sorts of uses! 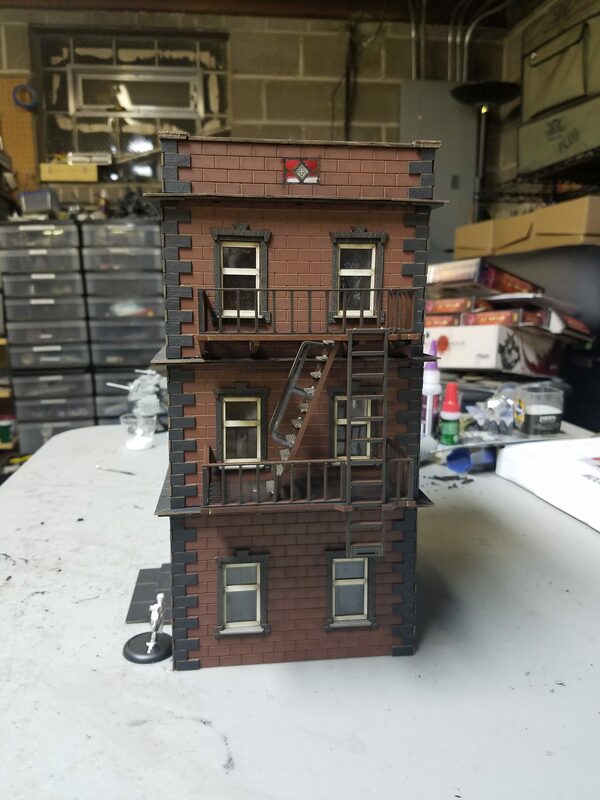 Dang, those fire escape kits are nice. I may have to take a look at those for my urban buildings.